Real money Internet casinos offer a wide range of blackjack games in what is called the instant play format – that is, all titles are available to play for real cash, directly via your Web browsers and without any downloads or installations. Learn more about instant play 21 and where to play online. Below we have listed our top ranked online and mobile blackjack casino sites that offer their real money games within the instant play format. All sites are licensed and regulated, and all games are checked for fair gameplay by independent gaming testing agencies like eCOGRA (the eCommerce Online Gaming Regulation and Assurance body). Many of the above variants are also offered in multi-hand mode, while the Microgaming blackjack games are also offered in ‘Gold’ mode – a more prestigious and higher limit variation of the the same title. Live dealer blackjack games are also available across each of our recommended casino sites – real croupiers dealing authentic casino cards, and you get to watch and join in the live action, directly via the Web browsers of your compatible devices (mobiles, tablets, desktops and laptops). Betting limits are extremely generous across all the blackjack titles, ranging from as small as $0.50 per hand to as high as $5,000 per hand (and even more for some high limit games). 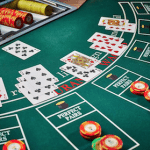 House edges for these online and mobile blackjack games remain extremely low (often less than one per cent) when compared to blackjack games on offer at land based casinos. This is due to the fact that Internet gaming operators have minimal overheads to cover and are happy to offer beneficial playing options to their customers, such as low betting limits, bonus payouts, single deck games, dealer standing on all 17s and many other advantageous player rules. Players will also receive immediate customer support if required, and can customise their betting experience to suit their desires. All the latest mobile and tablet devices can play host to our endorsed instant play Web casinos and the blackjack games on offer. Open any of the listed gaming websites directly from your preferred device’s Web browser and you will be taken to the mobile/tablet optimised gaming Web page. 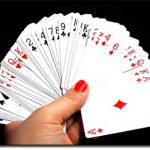 Instant-play blackjack sites work with Firefox, Safari, Google Chrome, Explorer and other major Web browsers. Using the latest HTML5 gaming technology, the mobile/tablet blackjack games are presented in high definition graphics with crisp background audio. Again, no downloads are required to play these games (they load within browser mode) and you can even create your own Web applications for the entire Internet casino or specific blackjack (or other) games. Do so once you have the Web casino (or specific game) opened in your browser, and then accessing the in-browser menu and the ‘add to home screen’ option. You will then have created a Web app that looks like a typical native application, but it has not installed any programming any onto your device. It is processed via the Internet but removes all URL tool-bars and takes you directly to the lobby/game. Check each gaming website for details about deposit and withdrawing limits as well as processing times. All financial transactions are protected with the latest secure socket layer (SSL) digital encryption technology. However, we recommend the browser-play format – real cash instant play and interactive gaming has fast become the most popular way to gamble online, and with casino and blackjack gaming operators utilising the highest quality technology to market their services, players can be assured of a visually advanced, audio rich and smooth gaming experience, with both random number generated (RNG) and live dealer titles.